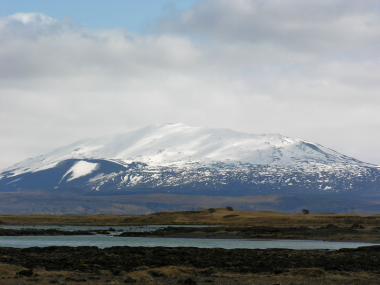 Web of Science: What is happening at Hekla Volcano? What is happening at Hekla Volcano? Scientists monitoring the volcanoes in Iceland often have to answer questions by the public and the media concerning the eruption probabilities, for example, where will the next eruption be, and when does Hekla erupt next? These are natural questions in a country of more than 30 active volcanic systems that erupt on the average every other year. There have been 22 confirmed eruptions in the last 45 years in Iceland. Several additional small eruptions may have occurred beneath the glacier-covered volcanoes that did not manage to melt their way through the ice. The main methods to monitor the state of the volcanoes are based on seismographs and geodetic techniques such as GPS-geodesy, tiltmeters, and radar interferometry from satellites. An eruption is often preceded by inflation when magma accumulates in a magma chamber beneath the volcano. The rock mass above the chamber becomes stressed resulting in small earthquakes, and the volcano and its surroundings become uplifted, often months or years before an eruption. These slow changes can be measured. A short-term warning is then given by an intense earthquake swarm that occurs immediately before an eruption when the magma finally breaks out of the chamber and migrates towards the surface. This measureable forerunner of the eruption may take place in only hours or days. There are no special indications that an eruption is just about to happen. A systematic study of the behaviour of Icelandic volcanoes reveals that most of them appear to be in a state of rest. No indication is found for magma movements in their roots at the present time. A few systems show some, but confusing signs of activity. Three systems do, however, show clear signs of magma accumulation that may lead to eruptions in the next few years, i.e. Hekla, Grímsvötn, and Bárðarbunga. The magma accumulation is expressed in various ways depending on the characteristics of the respective volcano. Continuing accumulation will inevitably lead to an eruption. The timing of the eruption is uncertain. It depends on the rate of magma accumulation and the state of stress in the rock mass surrounding the magma chamber, i.e. how long the surrounding crust can withstand the pressure in the chamber. The stress also governs the the path of the magma when it breaks out of the chamber, whether it finds its way to the surface in an eruption or remains as an intrusion in the crust. Most of these conditions are poorly known so an accurate prediction of these events is impossible. It is therefore very important to monitor the progress of activity with geophysical instruments in order to narrow down the likely or possible scenarios. But now about Hekla. Eruptions in the last decades have been rather regular and frequent, 1970, 1980-81, 1991, and 2000. This is a new pattern. In earlier times it erupted once to twice per century. Regularity like this is rather unusual in the world of volcanoes. The behaviour of volcanoes is usually more irregular. The most dangerous eruptions sometimes occur after a long repose. Tilt measurements have been made at Hekla for several decades to monitor its state of inflation. 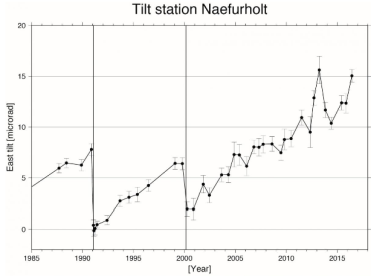 The tilt station that has shown the most consistend results is located at Næfurholt, about 11 km west of the volcano, see accompanying graph. A group from the Institute of Earth Sciences went to the Hekla area on June 6 2016 to make tilt measurements at a tilt station at Næfurholt. The group consisted of Ásta Rut Hjartardóttir, Halldór Ólafsson, Páll Einarsson and Stéphanie Dumont. The tilt changes at Hekla volcano reflect a steady increase in magma pressure beneath the volcano for the last three decades, except during the eruptions of 1991 and 2000 (vertical lines on the graph) when the pressure dropped. The graph shows how the magma chamber beneath Hekla recharges at a continuous rate between eruptions. During the eruptions of 1991 and 2000 the pressure in the chamber drops as the magma is delivered to the surface and the volcano deflates. Immediately after the end of the eruption the chamber begins inflating again and the volcano prepares for the next eruption. The new eruption does not occur until the pressure in the chamber reaches the previous maximum. Following the 2000 eruption the magma pressure increased and had reached the previous maximum in 2006. One must assume that by then the pressure was sufficient to initiate a new eruption. For the following decade the pressure has increased beyond this value. The latest measurement that took place last June confirms this pressure increase. But does this mean that Hekla is about to blow up or is likely to cause a major calamity with blockage of the world´s air traffic, as we can read in some foreign papers? Let us keep calm and analyse the situation. To begin with, this situation has been there for ten years. We have no special indications that an eruption is just about to happen. The volcano may continue inflating for many more years or even decades without erupting. No method is known that can be used to forecast the timing of the next eruption long beforehand. Based on previous experience it must be considered likely that the volcano does not show any signs of an impending eruption until ½ to 1 ½ hours before the magma arrives at the surface. It depends very much on the circumstances whether this time is sufficient for issuing a useful warning prior to the outbreak of the eruption. This short warning time is of concern because of the increasing tourism around the volcano. Groups of hikers on the flanks of the volcano cannot count on getting warnings before it is too late. It is also of concern that a large number of trans-atlantic aircraft fly directly over the summit of Hekla every day. And what about possible disruption of global air traffic? The eruption of Eyjafjallajökull in 2010 and the disruption it caused is still remembered. This event was in many respects very special. The damage it caused was the result of interplay between the chemical composition of the eruptive products, the presence of glacier ice and meltwater, grain size distribution of the ash, the long duration of the eruption, and the prevailing wind directions during the eruption. The eruption was neither particularly large nor powerful. Much larger eruptions, such as that of Grímsvötn in 2011 or Bárðarbunga in 2014-2015, did not cause serious disruption of air traffic, neither did the latest eruptions of Hekla, those of 1970, 1980-81, 1991, and 2000. There is therefore no special reason to expect serious problems of this kind during the next eruption of Hekla. But experience also teaches us that we cannot take anything for granted when Hekla is concerned. We better be on our toes, watch our instruments, and consider all possibilities. 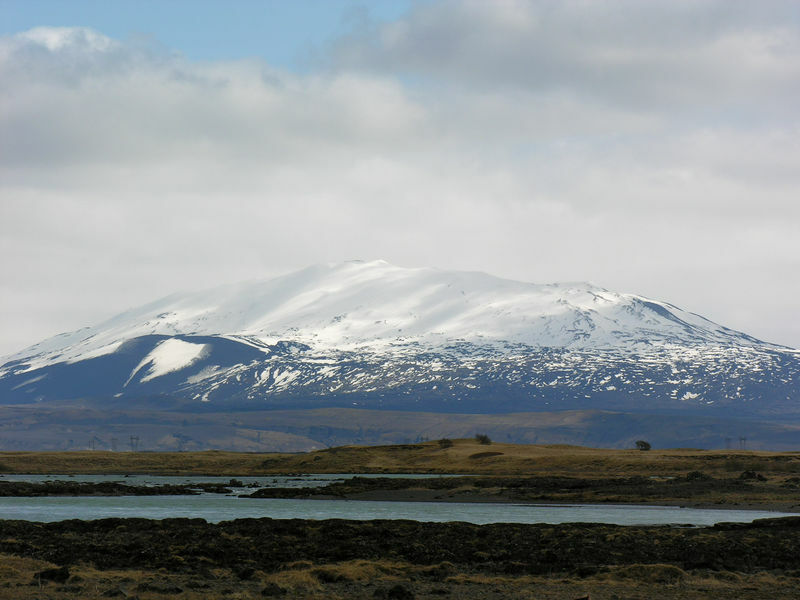 Hekla - Wikipedia, the free encyclopedia. (Retrieved 14.09.2016). Graph made by Erik Sturkell. This text was first published June 30th 2016 at Institute of Earth Sciences at the University of Iceland. It is published with permission from the author. Páll Einarsson. „What is happening at Hekla Volcano?“. The Icelandic Web of Science 17.10.2016. http://why.is/svar.php?id=72668. (Skoðað 21.4.2019). Is there an hot spot beneath Iceland? Do some special Icelandic stones exist? What rocks are found almost exclusively in Iceland or possess qualities unique to Iceland?